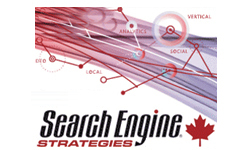 Google announced in its blog last week 2 new improvements to their search algorithm. As we often do, we like to examine them and give our own unbiased opinion of the changes that they have made. The 2 changes made are very small improvements to the search results page. While they are considered small, it is all of these collective search engine improvements that are making visitors gain more confidence in their search experience without distracting the visitor with a drastic overhaul. Let’s examine both of these changes now. Have you ever wanted to search for something and not been quite able to figure out what to enter for your search? Have you ever done a search and not been completely happy with the result? Google has developed new technology that tries to understand what you are searching for better. It then will produce a result for you (as it always does) but for many of these searches Google will also provide related searches based upon what you searched for. Here is the example used on the Google Blog itself. As you can see Google has interpreted what you are searching for and just in case you didn’t get the results that you were looking for, other search queries related to this are offered. It is very likely that this technology has stemmed from a technology that was hot in the SEO world several years ago called Latent Semantic Indexing (LSI). What this technology allowed search engines to do in short, was understand the words you are using and apply synonyms to them so they could better understand what you were searching for. To learn more about LSI here is the simple read. Here is the long read! This is another small improvement that we really like. Until now whenever a search is completed on Google the result generally shows a Page Title of about 3-8 words in larger font and a blue background. Below that, Google will usually render text that is either found on the page or in the meta tags that help you understand what this result is about and perhaps why they offered it as a result of your search. 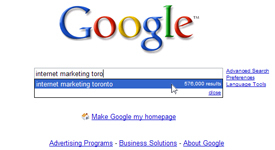 For those that are searching with longer search queries you are usually much more defined in what you are looking for. Wouldn’t it then make more sense to offer the visitor more description to add relevance to what has been searched? The search result below shows evidence of the new change. Our own experimentation has shown us that while we are seeing more bold in the descriptions we are not really seeing the evidence of longer ‘3 line’ descriptions thus far. Google’s continued improvement to its search engine by employing small changes that don’t dramatically effect the user experience, is applauded. By making small improvements without disrupting the search experience, Google is slowly changing its search landscape and more importantly, making the need for its users to look elsewhere. While Google continues to grow in the search and online industry with new additions like Google Ventures, they are doing well in not forgetting what has gotten them to where they are today. Oh Google hit the nail on the head again. These changes will surely improve user experience, as it understands user intent better. Another implication of this change is site’s page title and description will get more weight. Google is a perfect example of a company venturing out to newer areas without in any way neglecting its established line of business. It is further cementing its search market share with further additions to its algorithms. Google very well know that it has gotten this far purely on the strength of its search engine and is not prepared to dilute its importance in any way. Healthy business practices for all to follow. Once again Google proves how they’re eager to provide the best search experience to their millions of users. Obviously, this will improve the user experience further. With Google racing ahead and leaving their competitors trailing behind they’ve virtually uprooted every obstacle that users may have. 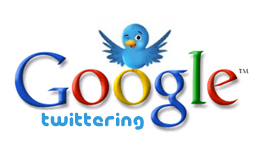 Internet Marketing	Google About to Buy Twitter?